Orthopedics is a medical specialty which focuses on the diagnosis, correction, prevention, and treatment of patients with skeletal deformities – disorders of the bones, joints, muscles, ligaments, tendons, nerves and skin. These elements make up to the musculoskeletal system. Dr. Kunal Patel provides the best treatment for all types of Joint pains. His is also the Best Orthopedic Surgeon in Mumbai. He has performed various surgeries and has handled various kinds of joint operations such as Hip Replacement Surgery, Knee Replacement Surgery, Shoulder Arthroscopy Surgery, and Knee Arthroscopy Surgery. Thus book your appointment with Dr. Kunal Patel is one of the best of Top 10 Orthopedic Doctors in Mumbai. For appointments or any queries, you can call or given number below. Dr. Pranjal Kodkani is an eminent joint preservation surgeon with specialized training in arthroscopy and sports injury management. He has been pioneered a number of advanced, evidenced-based, innovative techniques in joint preservation and sports injury management. These arthroscopic procedures for the knee, hip, ankle, shoulder, elbow, and wrist are high lights of his specialized practice. Dr. Shailendra Patil is the first surgeon in Mumbai to have performed the lateral partial knee replacement. He is also trained in conventional & navigated knee replacement with minimally invasive tissue preserving approach. He is well versed with the latest techniques like unicompartmental knee replacement & patellofemoral replacement & patient-matched technology With a fellowship in Sports Medicine (Joint Arthroscopy) & Joint Reconstructive Surgery from Arcus sports clinic forum Germany. 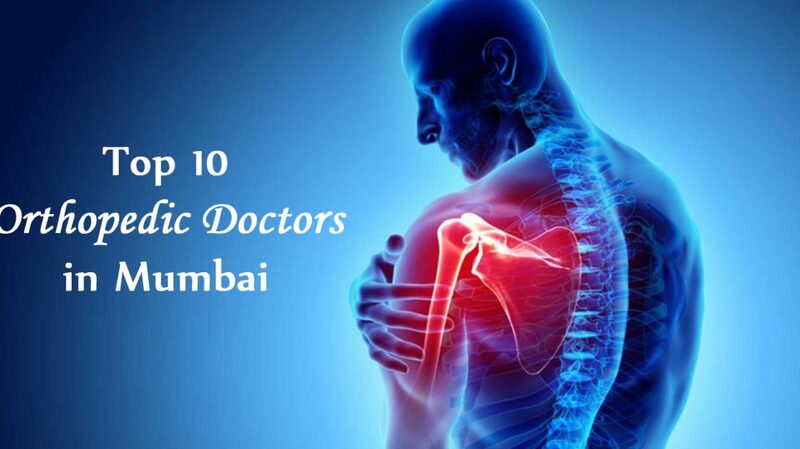 Dr. Satyen Mehta is known for the spinal surgeon practicing in Mumbai. His work is solely concerned with the treatment of disorders of the spine. These conditions include degenerative disorders of the back or neck (disc herniations, stenosis, spondylolisthesis, etc), tumors of the spinal column, infections which involves the spine (Tuberculosis etc), osteoporosis of the spine, trauma to the spinal column and developmental problems including scoliosis. Dr. Merchant has started been in Private Practice, practicing as Orthopedic Surgeon, the specialist in Arthroscopy of Knee and Shoulder, Total Knee Replacement Surgery and Trauma Surgery. Patients with a wide variety of Joint Problems have been successfully taking treatment from him. He is affiliated with various hospitals in Mumbai and is a regular and active participant at professional conferences to keep his knowledge up-to-date. Dr. Sonawane specializes in minimally invasive Hip and Knee replacement, arthroscopic surgery of the shoulder and knee and Spine Surgeries ranging from open to endoscopic spine surgeries resulting in limited downtime and rapid return to normal activities and sports. Considered an authority in Orthopedic Surgery, Dr. Sonawane is known for his kind demeanor and meticulous skill. Dr. Sonawanes’ treatment philosophy is that preserving the vital structures with which we are born is the key to extending the life of our joints. He is also a stresses that a proper rehabilitation plan, whenever appropriate, can often help patients avoid surgery. Dr. Niraj Vora is an Orthopaedic Surgeon in Mumbai India, with broad understanding and approach in total replacement surgeries. He is Hip & Knee Surgeon & Consultant. He has successfully performed around 3000+ knee and hip replacement surgeries and 1000+ trauma and other orthopedic surgeries. Dr. Anuj Singh believes in providing patients with high-quality information about their health condition & its management. Being amongst the best Orthopedician and Orthopedist, Dr is constantly striving to provide the latest & the best medical services in the field of Orthopedics, Joint Replacement and Knee Replacement. If you are suffering from signs, symptoms, ailments, diseases or conditions which require consultation or an expert opinion from a top doctor in Orthopedics, Joint Replacement, get in touch with Dr. Anuj Singh for transparent, dependable & patient-centric care. Dr. Amyn Rajani is one of the few Orthopedic Doctors/Surgeons in India who have expertise in Knee Replacement, Shoulder Replacement, and Shoulder Arthroscopy as well as in Knee Arthroscopy. He believes that there is no end to learning, especially with rapid advancements in technology. Even with his busy practice, he never misses an opportunity to travel abroad at least once a year to learn about the latest in Knee and Shoulder Surgery. Above were some of the best of Top 10 orthopedic Doctors in Mumbai so that we can get us cured of these best orthopedic doctors of the knee, joint pains can also get it cured before severity.